Yesterday was my 4th practice with Girls on Track for the Fall 2012 season. 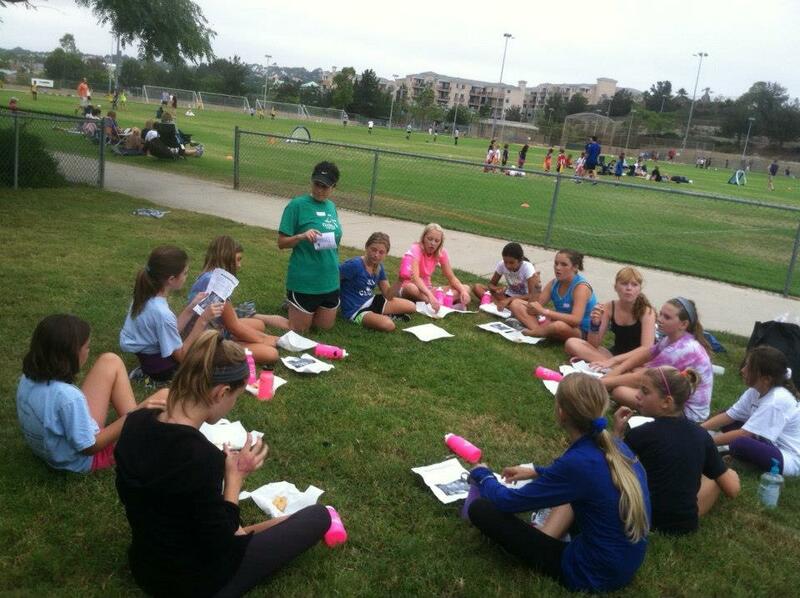 Girls on Track is the program for girls that have grown out of Girls on the Run – i.e. 6th-8th graders. 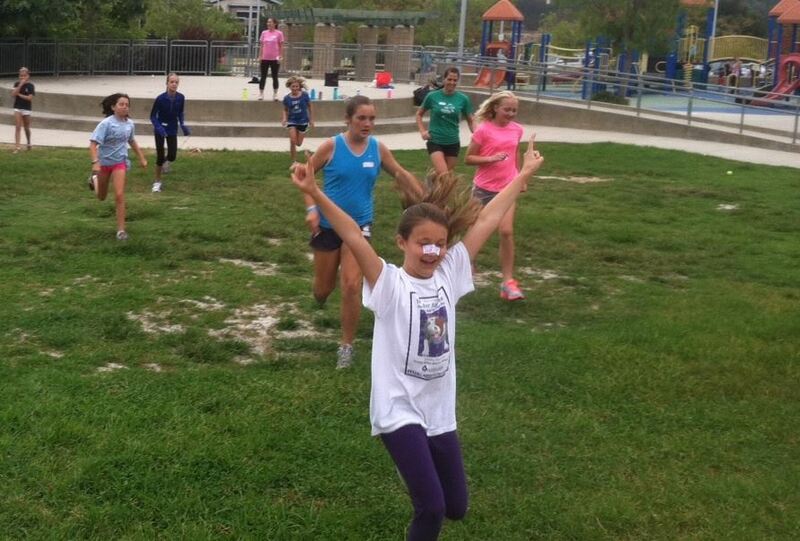 Girls on the Run is only available to 3rd – 5th graders. Last Fall I volunteered with Girls on the Run, but this season the location that I was previously volunteering at moved and the new start time was too early for me to feasibly leave work in time to make. 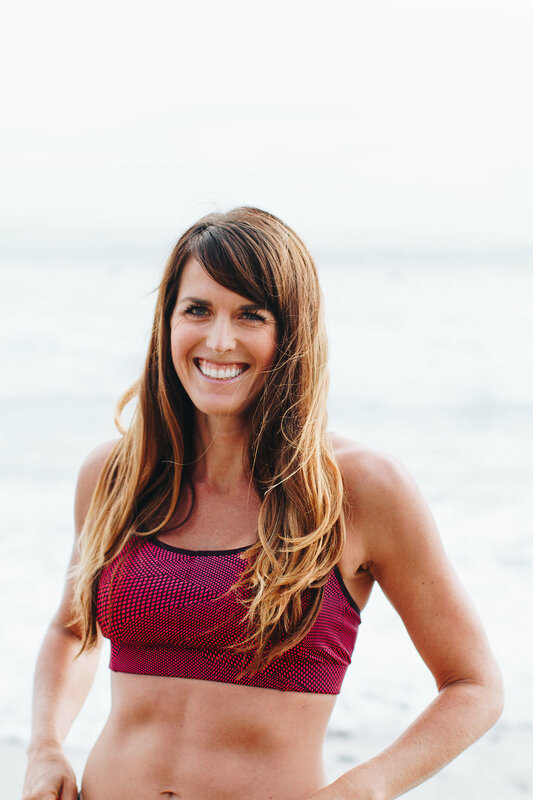 Since I knew Monika was a coach for Girls on Track, I talked to her about it and she convinced me that Girls on Track was equally (if not more) awesome than Girls on the Run. The program is 10 weeks and the girls meet twice a week. Since I am an assistant coach, I meet just once a week but I am more than welcome to come twice if my schedule were to allow (unfortunately I can’t since I have to leave work at 3:45 to make it to the practice). Over the course of the 10 weeks, the girls follow a well-crafted curriculum that teaches them valuable life lessons that aren’t often taught in the classroom. From the beginning, we teach the girls that they are intelligent, beautiful and gifted and that they should not listen to anyone who tells them otherwise. We call girls who are confident, secure in their beliefs and in themselves and who don’t allow others opinions of them to affect them “Girls Outside The Box.” The “Girl Box” is the place that society teaches us to go – a place where we conform to what others think we should be. Each meeting has a lesson plan that begins with a discussion, continues with a warm-up and finished with the actual running workout. The girls only spend about 1/3 of the practice running, although toward the end of the season we run a bit more to get ready for the 5k. So far in Girls on Track we’ve discussed topics like time-management, fueling our bodies with the right foods, and stress management. We will continue into more sensitive topics like bullying, being role models to younger girls, and crushes and relationships. These are many of the same topics discussed in Girls on the Run, but they are more mature conversations. I found Girls on the Run involved a lot of repetition to get the girls to understand concepts, and Girls on Track is definitely more of an in depth conversation. 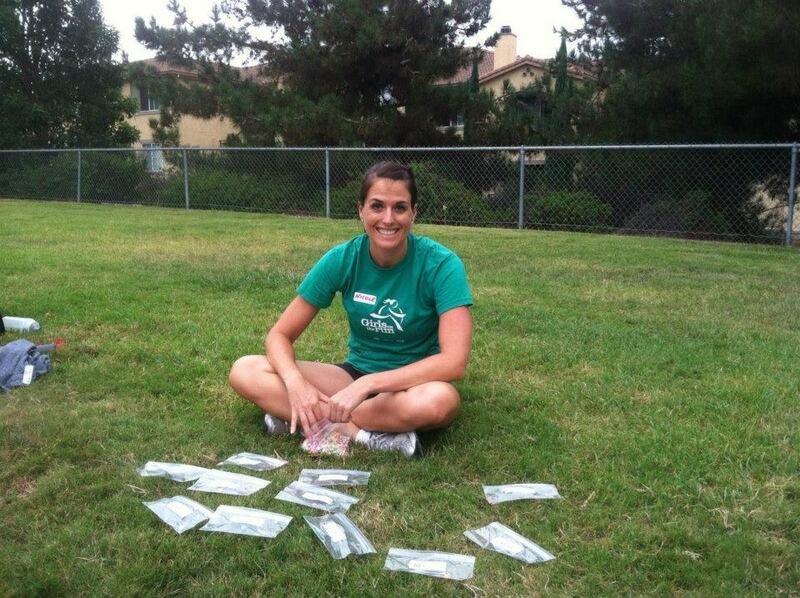 When I coached Girls on the Run, I wasn’t exactly sure where the girls were coming from or what they already knew. I feel that I can relate a bit more to the Girls on Track girls. However, they still surprise me at times with their vocabulary and maturity at times! Another reason that Girls on Track is close to my heart is that I know what a nightmare middle school can be. personally, middle school was the hardest time of my life. Although I had plenty of friends, I had many of them turn on me. As a result, I transformed from a uber-confident elementary school child to a quiet, reserved and insecure middle schooler. I also put on weight during this time since in 6th grader we weren’t allowed to participate in after school sports and I was old enough to take the bus home. I would ride the bus home and fix myself a big fattening snack and then sit on the couch all afternoon and watch TV. As a result, I gained quite a bit of weight. I absolutely hated when we had to run the mile in P.E. Since we only ran it a few times a year and i wasn’t participating in sports, it was difficult for me to run a full lap without stopping. Running was not something fun for me – it was a chore. In 7th grade, I joined the Track and Field team and learned to enjoy running. I saw my mile time drop from 13 minutes to 8 minutes. I lost weight and gained some confidence, but this confidence was often tested by friends who turned their backs on me or boys who bullied me. As a really tall girl in a world where the boys hadn’t had their growth spurts yet, I felt really big and uncomfortable in my skin. I really wish I’d had a program like Girls on the Run when I was young so that I could have gained confidence in myself and learned to enjoy running even more. I absolutely love working with these middle school girls because I feel like I can make an impact on their self-esteem and teach them that no matter how different they are from anyone else, they are themselves and they should embrace that. I can’t wait to see how the rest of the season unfolds. Last year, one of my favorite parts of the season was watching the girls test themselves in a practice 5k as well as the organized Girls on the Run Sparkle and Shine 5k. Last year I was a running buddy and ran by one of my girls’ sides as she completed her first ever running race. It was incredible. Unfortunately this year I will be returning from our trip to Belize very late the night before but I’m really hoping to get out to the 5k to at least cheer all the girls on. Have you heard about Girls on the Run? That’s so great you’re volunteering for an organization you have a personal interest in, both because of your experiences and because you love running. It will be awesome to see them grow throughout the season! Yay! Glad you joined my team! Too bad I’m missing most practices. 🙁 I’m happy I’ll make the 5K now. You’ll have to drag yourself and your jet lag to the race. I have a HELLO KITTY BUBBLE MACHINE!